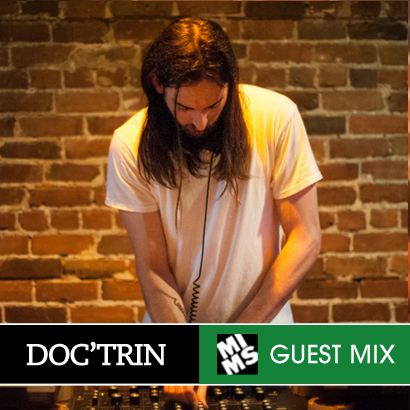 It’s really a pleasure for us to present a brand new guest mix from none other than DOC’TRIN. Many of you here at MIMS will know him because he’s written tons of amazing pieces for us. Some of you in Montreal know him as “Dancing Dan”, by far the most positive and awesome guy to have on any dance floor. But now, heads must recognize the fact that Doc’trin has become a force behind the decks! In fact, if I had any advice to give to people who are seriously considering getting into DJ-ing i’d tell them to follow his example: Step for Step. He’s really proven that he has immense passion for music research and the willpower to work on the craft of DJ-ing. I really think the dude is gonna be a great great DJ. He asked me last week: “is it normal that I’ve been re-doing my mix 10 times and I want to kill myself?” I told him that yes, it’s the only way!! So enough praises for our boy Doc’trin but this is a serious mix with some great selections! MOOVMNT "The Future of Funk 3"